Fiberglass pools are not only beautiful, but they have huge advantages over any other type of pool, including ease of maintenance, cost of ownership, and durability for any location. Read on to discover why your life will be better with a fiberglass pool – especially when that pool is a Riviera or Aloha fiberglass pool from Fun and Fit Pools & Spas. 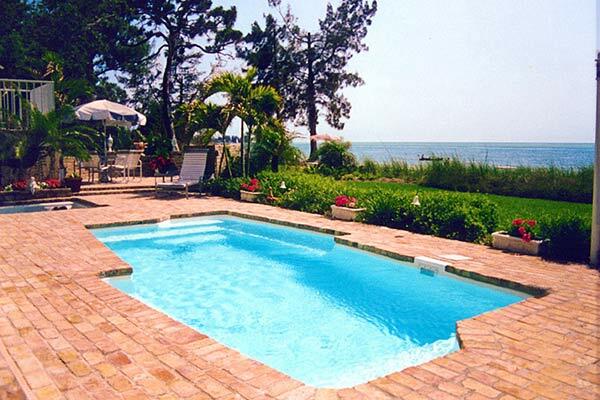 These 5 huge advantages of fiberglass pools are not known by most homeowners. Advantage #1: "Speed of Installation." Installing a fiberglass pool takes DAYS. Installing a vinyl-liner pool takes WEEKS. Installing a concrete/Gunite pool takes MONTHS. Connect the plumbing and electrical to the shell. And start filling it up with water. No doubt about it, fiberglass pool installation is about is swift and "turn-key" as it gets. 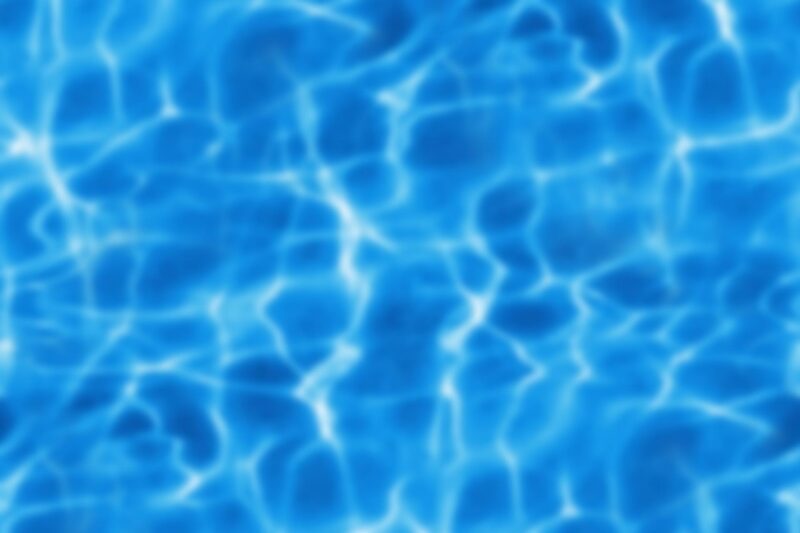 As crazy as it may sound, fiberglass pools actually use less chemicals that other types of pools, and here's why. The “dirty little secret” that most Gunite/concrete pool builders don't like to talk about is that the plaster or aggregate finish on a Gunite pool will actively and aggressively react with the chemicals in your pool water. As the plaster and grout erodes away (which it does), it consumes chlorine in the water, and also changes the pH, the alkalinity, the water hardness and the total dissolved solids. No wonder managing your chemicals in a Gunite pool is such a challenge! By the way – you may have noticed that some Gunite pool builders will offer a highly sophisticated "in-floor cleaning system" upgrade with their pools. That's because they know that homeowners don't want to have to brush the debris out of their pool every 3 days for the rest of their lives. It's not a bad technology, but it's fairly complicated, and definitely expensive. (It’s also not available in all climates.) So again – why pay extra money to "fix" the Gunite pool problem when fiberglass lets you avoid the problem altogether in the first place? Advantage #4: "No ‘Interior Replacement’ Costs." Advantage #5: "No ‘On-the-fly-experimentation’ in Your Backyard." The strength and long-term reliability of a Gunite pool is 100% dependent on the handiwork of a dozen or more local individuals who will come and go in and out of your backyard over a period of several months. From the guy who digs the hole, to the guy who bends the steel, to the guy who shoots the Gunite, to the guy who decides on the shapes, the curves, and thicknesses of the floor and walls - EVERYTHING is performed somewhat "experimentally" during the construction of your pool. (The construction of a concrete pool is often rightfully referred to as “a one-of-a-kind, in-the-field fabrication using variable materials in an uncontrolled environment.”) Whether or not the unique combination of decisions and actions in building a concrete pool result in trouble or success is something you may not know for years to come. 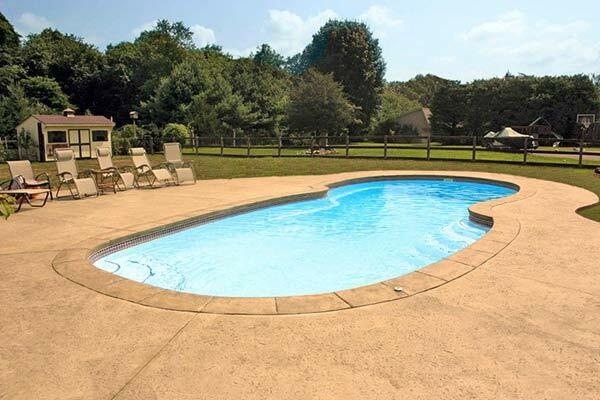 Vinyl-liner pool construction isn't quite as temperamental as Gunite pools, but even the "cookie-cutter" models require some unique "in your yard" decisions in craftsmanship which can affect the overall quality and reliability of your project. By contrast, a fiberglass pool is built exactly the same way every time, in a strict quality-controlled factory. There is absolutely no experimentation whatsoever taking place on your fiberglass pool. Your local pool contractor will simply dig the hole, place the shell, connect the plumbing and electrical, and fill it up with water. And the results will be the same every time – a watertight fit that looks beautiful and will last a lifetime. Aloha Fiberglass Pools offers a wide variety of modern and elegant pool and spa designs at competitive costs that will suit your budget and family. They understand that getting a pool is a big investment, not only monetarily, but in the quality of your family’s life. They also know that it is a process, one that starts at the model selection stage and goes through the life of your pool. Aloha Fiberglass Pools was established in 1991 and has grown to be one of the premier fiberglass pool manufacturers with state-of-the-art factories strategically located across the United States. Aloha Fiberglass Pools has been a top quality manufacturer of one-piece fiberglass pools since 1991. In that time Aloha Fiberglass Pools has managed to set industry standards by producing the highest quality product in the industry. The ICC-Evaluation Services recognizes this and grants Aloha Fiberglass Pools with the ICC-ES certificate of approval. The ICC-ES is a non-profit independent company that spends their time and resources on the evaluation of building components, methods and materials. Since February of 2003, the ICC-ES has been evaluating companies and determining if they are within code compliance. Aloha Fiberglass Pools proudly can say that the ICC-ES identifies that the materials and processes that go into manufacturing an Aloha pool are of the highest quality. If you are thinking about investing in a fiberglass pool and want only the best, you owe it to yourself to purchase a pool with the highest quality materials and manufacturing capabilities in the industry. This certification is something you can refer to that ensures that you are purchasing a recognized and certified high quality product. Aloha Fiberglass Pools approval from the ICC-ES provides one more reason why Aloha has the ability to offer a 75 year warranty. The first layer of material is a marine grade of ISO/NPG gel coat, which is applied to the approximate thickness of 30 mils, and then allowed to begin its curing process. The next layer of material is made up of 100% vinyl ester resin, reinforced with fiberglass in a chopped strand form. This layer is commonly known as the skin coat or vapor barrier. Next comes four (4) layers of fiberglass, made up of a layer of 1-1/2 ounces of chopped strand mat, twenty-four ounce woven roving, and again the mat and woven roving. These layers are put in place by hand with numerous strategically placed overlap ridges, further reinforcing the pool structure from side to side. Pool models with long, straight walls will then have those areas further strengthened with another layer of mat, a panel of reinforcement, a layer of mat, and a layer of woven roving. Now a curved structural form is placed all the way around what will be the underside of the lip of the pool, and encased within two (2) more layers of fiberglass, again of mat and woven roving. This is done around the perimeter, at the coping, to provide additional rigidity. The lip of the pool is not boxed in, as this prevents the lip of the pool from being encapsulated in the concrete as the deck is poured. This process secures the pool shell to the surrounding concrete deck. Within the above layers, we have hidden additional fiberglass and/or carbon fiber, which is a proprietary part of Aloha’s pools. The above process is a one-day event. 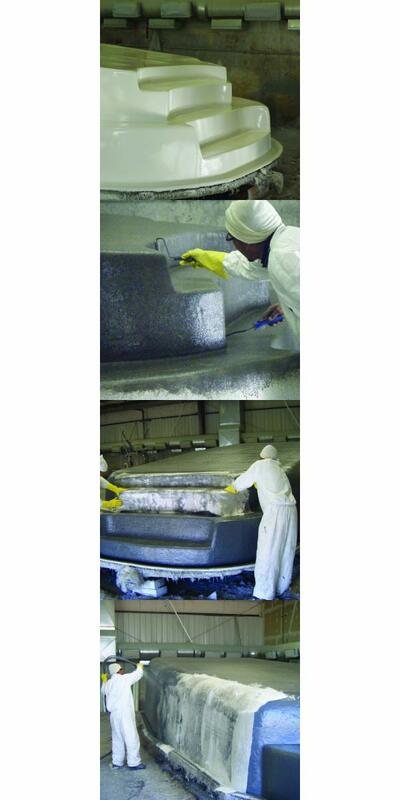 Typically the pool will remain on the mold for several days, allowing further curing, before removing from the mold. The pool is lifted off of the production mold and placed on above-ground supports, the outer edge of the pool is trimmed, and fittings are applied. If waterline tile is ordered, it is applied at this time. Your pool is loaded on a trailer and shipped to you to be installed by your contractor.